This collection of hand-woven home decor is created by internationally recognized master weaver and tapestry artist, Sherry Schreiber. 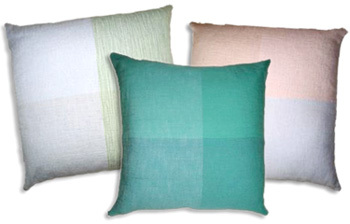 The pillows, rugs and table linens are all about the artist's sense of color and texture that characterize her work. These simple designs accent any decor, whether traditional or contemporary, bold or low-key. 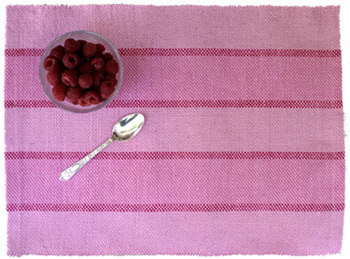 All are original pieces hand-woven to the highest standard in her East Hampton, NY studio. Everything is heirloom quality. These items may be purchased from the collection or custom-designed according to client specification. Decorators and designers welcome.